Villa Monique is a detached villa with an outdoor pool, set in Albufeira in the Algarve Region. Guests benefit from patio. Free WiFi is featured throughout the property and free private parking is available on site. Quietly located in the Montechoro district, and yet 2 km from Albufeira’s strip, these spacious apartments come with a balcony and kitchenette. There is an outdoor pool surrounded by sun beds. Located 900 metres from Olhos de Água Beach, Casa do Mar has an outdoor swimming pool and a small garden area. It offers free private parking and free WiFi access. Located in Albufeira, this air-conditioned apartment features an outdoor pool. Guests benefit from terrace. Free WiFi is offered throughout the property and free private parking is available on site. 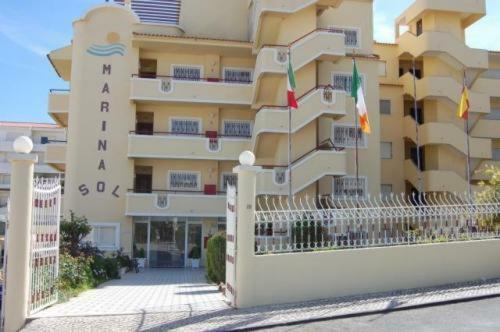 Set in the Albufeira City Centre district in Albufeira, 600 metres from Old Town Square, Apartamento Rosa Jardim features air-conditioned rooms and free private parking. Each room comes with a TV.